Children have been a career theme for Lesley Paterson, who worked as a nanny in her native Northumberland before going into nursing. 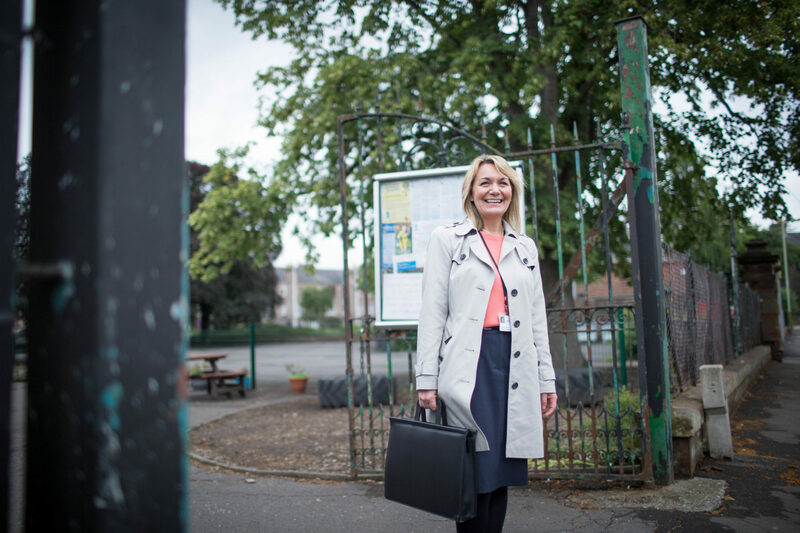 After a stint as a Staff Nurse in acute medicine, she transferred to Edinburgh’s Sick Children’s Hospital, then the children’s ward in Perth Royal Infirmary. Working in the paediatric outpatient department there introduced her to community nursing, and when it was suggested in 1999 that she might like to try school nursing, she jumped at the chance. Lesley has been team leader of the community nurses in Perth & Kinross, part of NHS Tayside, where she now works as professional and practice development nurse. Hers is one of only two areas of Scotland chosen to be pioneer sites for a refocused national vision for school nursing. Forget the caricature of the ‘nit nurse’ of yore, responsible for vaccinations, sickbay and health checks: today’s school nurse is a multi-skilled child health professional, with close contacts in a wide array of support agencies. The Scottish Government is taking a national approach to supporting the wellbeing of children and young people, and improving their educational and health outcomes. The ‘Getting it Right For Every Child’ (GIRFEC) framework demands that all the professionals who work with children align the way they practice, operating in closer partnership to respond to need more effectively. Starting with midwives, then health visitors, followed by school nurses, the idea is that children will be monitored for signs of health and emotional problems so that early interventions can be made. In Perth & Kinross and Dumfries & Galloway, the early adopter sites for Scotland’s new school nursing role, staff are concentrating on specific priorities: mental health and wellbeing, substance misuse, child protection, domestic abuse and homelessness among them. Special attention will be given to looked-after children, young carers, and children caught up in the youth justice system, and there will be support and education for their parents and carers as well. Identifying gaps in the training available for the modern school nurse has been one of Lesley’s tasks as practice development nurse. As a result, internal training covers subjects such as self-harm, anxiety and low mood. 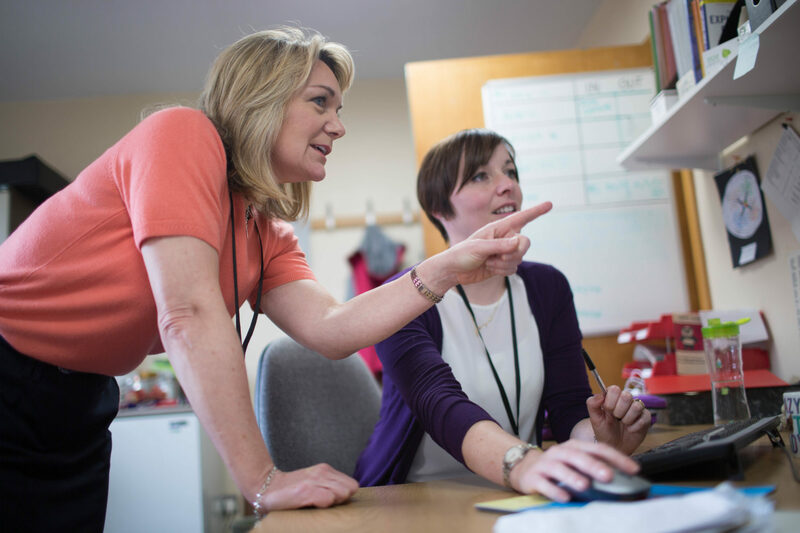 Tayside nurses also access the Masters level school nursing course, run by Robert Gordon University in Aberdeen. 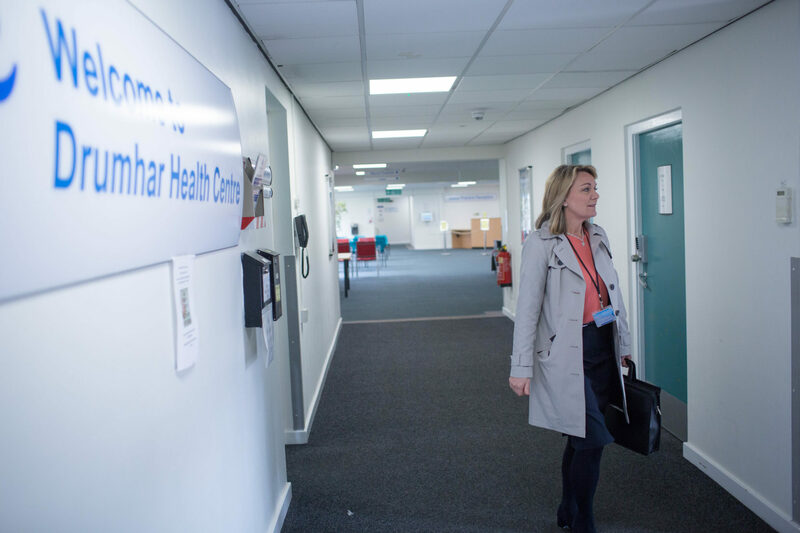 One of the resulting innovations was the introduction of reflective practice sessions, led by an NHS Tayside hospital chaplain, where the school nurses can debrief, consider their practice, and seek peer support to cope with extremely demanding roles. The NHS Tayside team’s next stage of development of their service will see the new model rolled out right across the Health Board area. “We have to be clear that our caseloads are changing, and so we need to change too,” says Lesley. Although early indications of impact are encouraging, ultimately the proof of effect of the new-look school nursing service will be improved educational attainment, fewer referrals to children’s mental health services and risk taking behaviour – none of which will be visible for years. In the meantime, as practice is perfected and evidence of benefit grows, the school nursing model being pioneered in Perth & Kinross will bring valuable learning to the whole of Scotland. “The new cohort of school nurses is incredibly proactive and up for the challenge,” says Lesley. “I do miss working directly with young people, but this is a great opportunity to influence their care in a different way. To learn more about our other Queen’s Nurses involved in children’s health, meet health visitors Clare and Gemma, midwife Hilary and school nurse Joan.